This section links to classroom related resources organized by theme or subject area, sample units, and lesson plans. 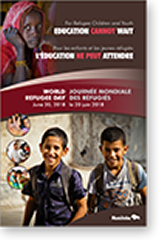 This poster commemorates World Refugee Day 2018, held annually on June 20, is intended to promote the recognition of this special day in Manitoba schools. National Indigeous Peoples Day is a day to celebrate the past and present contributions of First Nations, Métis, and Inuit peoples to Canada. It is important, as Canadians, to recognize National Indigenous Peoples Day and to teach about the contributions, histories, and future visions of Indigenous peoples for Canada to build bridges of understanding based on healing and reconciliation. 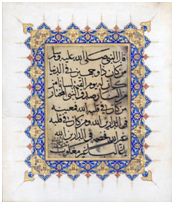 The Islamic History Month resource provides information on local events, curriculum connections, print, and web-based resources. The National day of Remembrance and Action on Mass Atrocities that is commemorated on April 23 of each year. support the implementation of the social studies curriculum and the history of Asian Canadians, their struggle against discrimination and for equal rights, and the cultures and heritages of people of Asian origins throughout the world. The Holocaust is of enduring significance to Canadians and the world as a whole because there are important lessons to be learned from it about human rights and responsibilities, the power of hatred and discrimination, and the challenge of democracy in multi-ethnic and multicultural societies.The Holocaust Education resource list provides information on the Holocaust, Holocaust Awareness Week and an annotated list of web-based Canadian and international resources. The Holodomor (Ukrainian Famine) of 1932-33 and other examples of genocide are of enduring significance to Canadians and the world as a whole because there are important lessons to be learned about human rights and responsibilities, oppression, and the challenge of democracy in multiethnic and multicultural societies. The Holodomor Education and Awareness resource list provides background information on the Holodmor, Holodomor Awareness Week, and an annotated list of selected Canadian and international sites related to Holodomor education and awareness, as well a few selected resources focused on teaching about genocide. February is Black History Month. Many schools throughout Canada chose February to highlight and celebrate the history and contributions of people of Black/African origins to our nation and throughout the world. The Black History Month resource provides information on Black History Month activities and an annotated list of selected Canadian and international sites dedicated to Black History and antiracist education. Internment and Redress: The Story of the Japanese Canadians The Japanese Canadian history website is a companion to resource books developed with a Networks Grant from the BC Ministry of Education on the internment of Japanese Canadians from 1942 to 1949 and the attainment of redress in 1988. Resource guide for teachers of grade 5 and 11 Social Studies are available as well as downloadable sample lessons and other resources. Under a Northern Star is just one of the many educational resources available from the Library and Archives Canada collections through their Learning Centre. The Learning Centre includes a searchable database of lesson plans and teacher resources for all subject areas and on many themes with links to curriculum across Canada. In Under a Northern Star, students must analyze the role of the individual in creating social change. They explore how key people and organizations contribute to change within a society, using examples of members and organizations from Canada's Black communities.